Ford is committed to unleashing a fleet of self-driving cars by 2021. 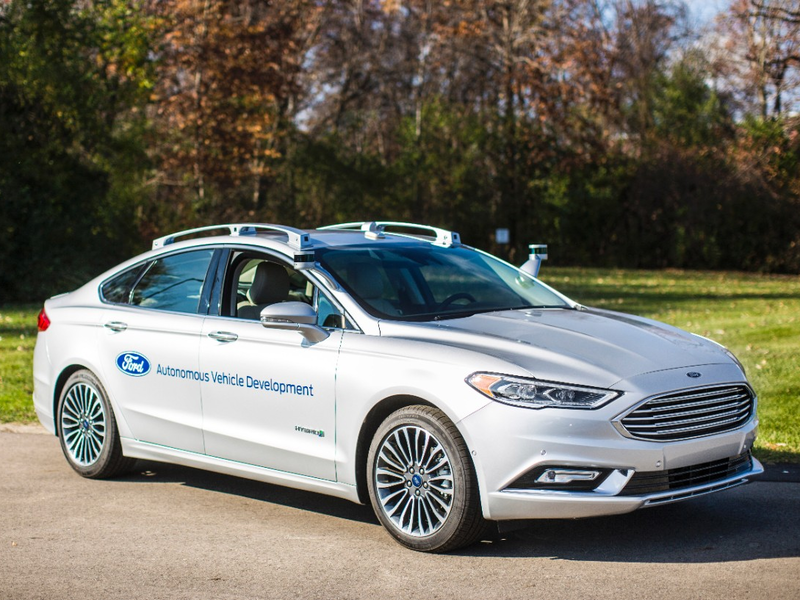 Ford will use Argo AI’s developments of artificial intelligence and machine learning and apply it to Ford self-driving cars, according to Argo AI’s CEO, Bryan Salesky. Salesky led self-driving hardware at Google in 2011 while working at the Carnegie Mellon University National Robotics Engineering Center. Argo AI hopes to achieve full autonomy by 2021, and Ford’s sizeable long-term investment will help the small company afford the expenses of taking on such a large, challenging project. Other members of the Argo team were also development leaders at Google, CMU, and Uber before leaving to join Salesky’s team. Ford will continue to lead on its autonomous vehicle hardware platform and on systems integration, manufacturing, design, and policy management. The autonomous team will join with Argo in software development in the hopes of making self-driving cars more commercial. If you’re interested in Ford’s developments and future vehicles, we’re happy to give you the rundown at Sanderson Ford! Ford debuted its first modern autonomous prototype three years ago but, despite the time lapse, the design hasn’t changed much. Looks don’t say much when it comes to autonomous technology, though. The American automaker is still shooting to produce autonomous vehicles for ride-sharing services by 2021. The Detroit-based automaker plans to launch a new set of autonomous prototypes to increase its current fleet from 30 to 90 cars. 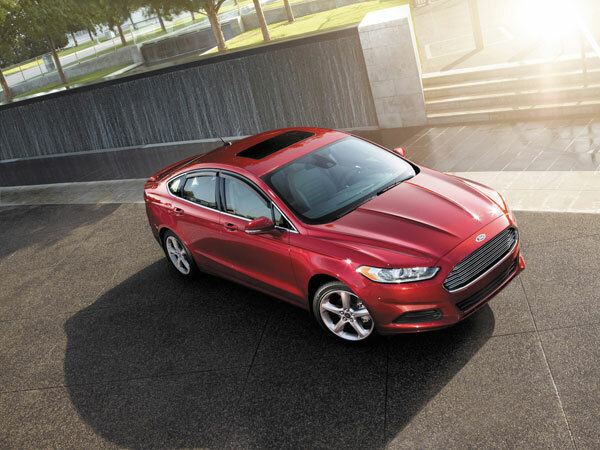 All models will be based on the Ford Fusion hybrid. Considering that Ford has largely invested in the autonomous midsize sedan, it wouldn’t be surprising for the next-generation Ford Fusion to be the first model to debut with the advanced technology. The automaker invested around $75 million into Velodyne and continues to use the Lidar sensors. The sensors are near the A-pillars above the side mirrors. From those spots, the sensors provide a full 360-degree view. What can easily be mistaken for roof racks carrying skis are actually three cameras that look forward, sideways, and backwards. Those cameras come in addition to the camera behind the windshield that watches for traffic signals and pedestrians. Radar sensors of varying ranges will help keep the vehicle on track in all weather conditions. We here at Sanderson Ford can’t wait to see what developments continue to come out of the new prototypes! According to Wired Magazine, “Ford doesn’t sound much like an automaker these days.” The magazine is referring to Ford’s recent presentation at the 2016 Consumer Electronics Show. Ford hardly talked about regular ol’ vehicles during its presentation. Instead, the automaker talked of mobile apps, possible use of drones, and autonomous vehicles. Of course, Ford is addressing crowds at the Consumer Electronics Show. It’s a tech show and so the focus is going to be on new technology. It’s not as if Ford can’t still make extraordinary vehicles. 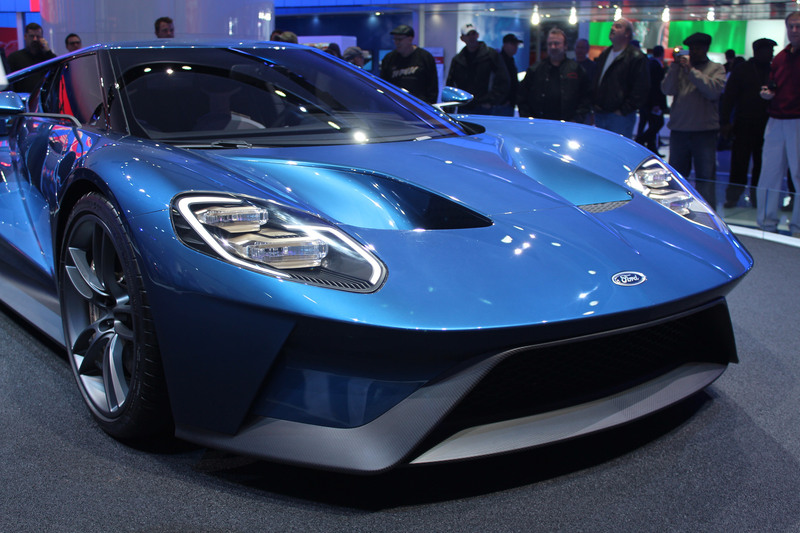 Look at the brand new Ford GT, for goodness sake. 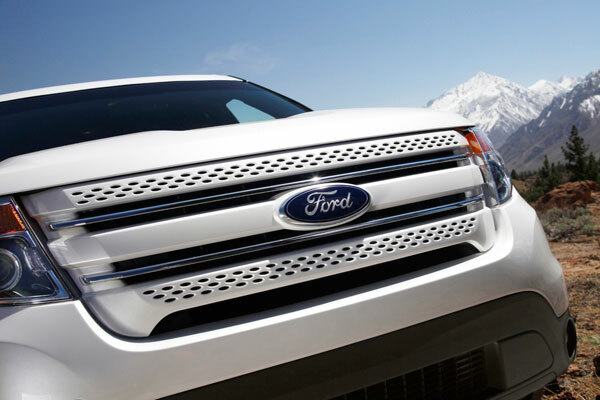 Ford technology has been heading skyward. Literally. The automaker has been researching drone-to-vehicle communications. In the autonomous technology department, Ford has added 20 more autonomous vehicles to its fleet of 10. One of the most interesting tidbits to come out of the Ford camp at CES is that the automaker’s Smart Device Link software is going open source. That means anyone can build on top of it. If we learned anything from CES, it’s that Ford is becoming a tech leader, increasingly on par with companies like Google, even while solidifying their reputation as one of the world’s greatest automakers. The Ford Escape is the second-best-seller in the entirety of Ford’s lineup, eclipsed only by the wildly popular F-150 pickup truck. In the midst of the recent Los Angeles Auto Show’s festivities, the company unveiled the 2017 Escape under the glitz and glamour of Hollywood. 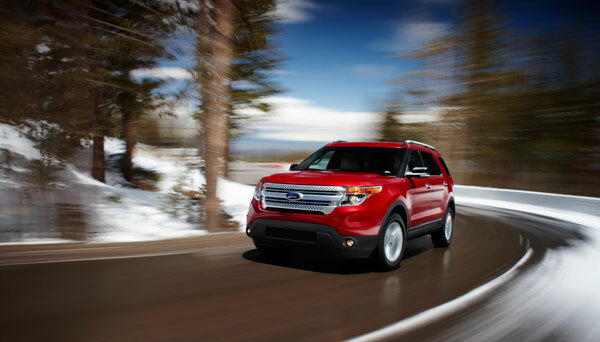 The Escape has met with incredible success despite the ruthless competition of the compact crossover segment, and this trend is predicted to continue, with significant improvements made to Ford Escape technology, as well as various other upgrades to the vehicle. Even though the underlying platform of the Escape has not changed for the 2017 model year, the crossover is still being advertised by Ford as the next generation of the vehicle because the improvements and redesigns are just that drastic. 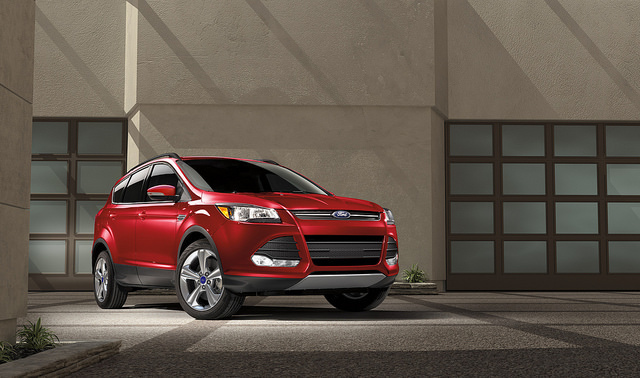 A new, stylish design, revamped interior, and two new engines are only a small part of the Escape’s updated features. One of the most striking things about the technology upgrades in the 2017 Escape is part of the new engines themselves. Both are turbocharged EcoBoost engines, which alone deliver outstanding fuel economy and power, but the addition of a new feature skyrockets these engines into more innovative territory – stop-start systems that automatically turn off the engine while the Escape is idling. This, according to engineers, will further improve fuel economy and is a crucial new aspect of Ford Escape technology. Despite the wild success of Ford’s new aluminum F-150, the automaker says it currently has no plans to expand its production of aluminum cars. While aluminum has the ability to significantly increase fuel efficiency, the benefits just don’t outweigh the costs for models outside of the F-150. “One of the big benefits you get from lightweighting on trucks is you give customers more capability that they want,” Ford America President Joseph Hinrichs explained to digitaltrends.com. Ford says that building the F-150 with an aluminum construction also made sense because of the sheer volume of F-150 units sold. Aluminum isn’t cheap, but America’s best-selling vehicle brings in enough sales to help mitigate the high cost of military-grade alloys. No other vehicle in Ford’s lineup (or any lineup for that matter) brings in the kind of sales that the F-150 does. 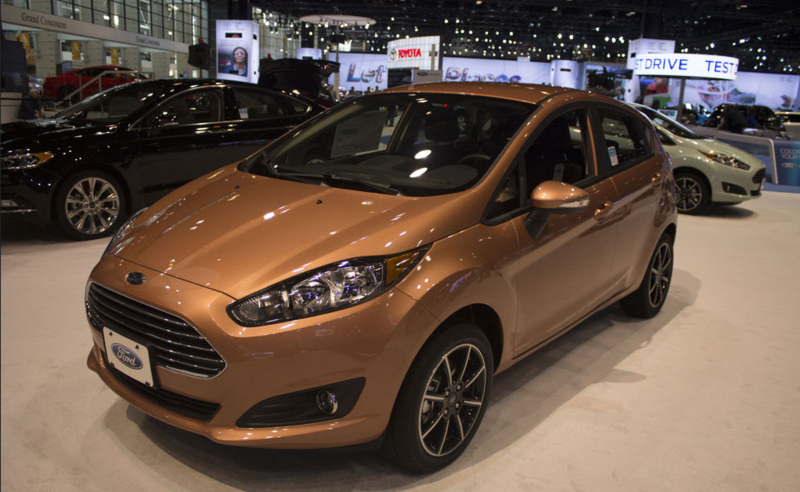 For now, Ford’s EcoBoost engines, active grille shutter technology, and aerodynamic designs add to its cars’ efficiency enough to keep them competitive. Additionally, Ford has used aluminum parts on the newest Mustang’s fender and hood – so the automaker isn’t ruling out aluminum altogether. Hinrichs points out that if the industry finds a way to reduce costs associated with aluminum construction, we’ll eventually see more vehicles using the lightweight material. Stop by Sanderson Ford today to check out the 2015 F-150 and Mustang! If you could drastically reduce the chances of frontal collisions that involve other vehicles and pedestrians, wouldn’t you do it? Well, Ford Motor Company has introduced a new technology that will do just that. Ford Pre-Collision Assist with Pedestrian Detection uses radar and camera technology to scan the road in front of the car. If an object is detected, the system warns the driver. If the driver doesn’t take action, the car will automatically apply braking force to reduce the severity, or even avoid, the impending impact. Pre-Collision Assist is designed to reduce the chance of impact with another car or object at any speed, while Pedestrian Detection helps the driver avoid collisions with pedestrians at lower speeds. “This technology adds to the already impressive list of driver-assist technologies Ford customers benefit from today,” said Raj Nair, Ford group vice president, Global Product Development in a recent Ford Motor Company news release. Ford offers a variety of other driver assist technologies including a lane-keeping system with lane-keeping aid, Blind Spot Information System (BLIS®) with cross-traffic alert, adaptive cruise control and collision warning with brake support, and active park assist. Pre-Collision Assist with Pedestrian Detection will debut on the 2015 Ford Mondeo in Europe, and will make its way to Ford and Lincoln vehicles in the U.S. shortly after. Stop by Sanderson Ford today to see and test drive our lineup of Ford vehicles with top of the line safety technology, designed to make our roadways even safer. The future of driving is getting closer and closer! Ford has recently announced that they are now working with MIT and Stanford in advancing their automated driving technology research. They are working together to build the automated Ford Fusion Hybrid that would feature Ford’s Blueprint for Mobility and several other technologies including LiDAR sensors to generate a real-time 3D map of the vehicle’s surrounding environment. With fully automated technologies, the vehicle will be able to sense objects around it. Research analytics at MIT will be creating advanced algorithms to help figure out if the vehicle will be able to sense moving vehicles and pedestrians that could be a hazard to the car. Stanford analytics will be exploring how the automated sensors will see around obstacles and potentially “take a peek ahead” to make necessary maneuvers. Could you imagine being in a car that could detect everything around it and basically drive itself? The future of driving is on its way. Stick with Sanderson Ford for the latest on Ford automated driving. Ford Motor Company has recently revealed details on a new technology that will change the way we park forever. The new fully-automated parking technology could potentially allow drivers to park their Ford with the push of a button! Fully Assisted Parking Aid, while currently only developed as a prototype, controls vehicle steering, gear selection, forward and reverse motion. Ultrasonic sensors used in the system would be able to detect a suitable parking space. Once in neutral, the Full Assisted Parking Aid system takes control and parks with ease. Can you image? Not having to worry about parking too close from the line, too far from the curb, plus not ever thinking about parallel parking again? Watch the video below to see Fully Assisted Parking Aid in action and keep in touch with Sanderson Ford for the latest details. In order to prove the power of the Ford EcoBoost engine over its competitors, Ford recently launched the Ford EcoBoost challenge. 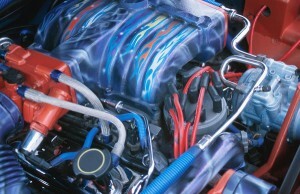 In the challenge, non-Ford drivers were given the opportunity to compare the engines to those of competitors, and the results overwhelmingly favored Ford, thanks to their revolutionary technology. During the EcoBoost challenge, drivers who do not currently drive a Ford vehicle were given the opportunity to drive a Ford vehicle and its competitor through an obstacle course, after which, they were questioned about the performance of each. Drivers who compared the Ford F-150 with EcoBoost to the Chevrolet Silverado almost unanimously favored the Ford truck. Now that the comparisons are over, Ford buyers can take advantage of the findings by purchasing select new Ford vehicles with 0% APR financing for 60 months plus Challenge cash. To check out these deals, and videos of all of the EcoBoost Challenge contestants, visit http://www.fordspecialevent.com/ecoboostchallenge/.